I am aware that it has been a while since my last post. 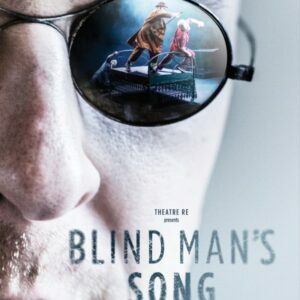 Our film has its first airings this week and I am yet to tell of its journey. 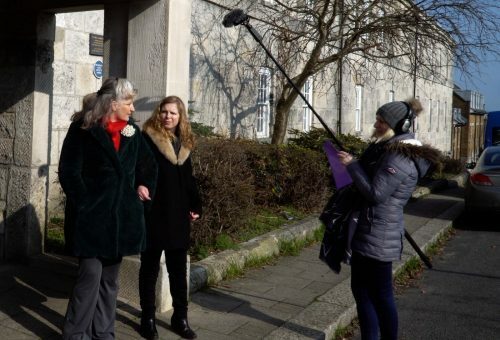 We have been busy completing our work with the young people and have started the second phase of the project – collecting oral histories which began with two visits to Dorset Blind Association groups in February. 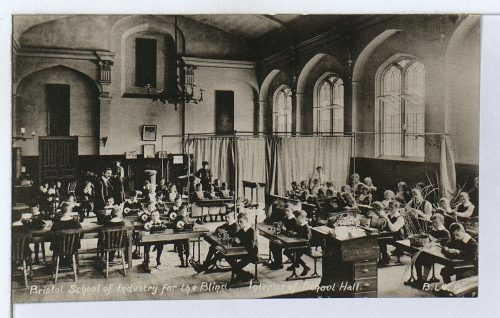 But to go back to where I left off – discovering Elizabeth Groves who found herself alone in Dorset County Lunatic Asylum in 1889 – how did she end up there and did she die alone? It was thrilling looking through the Census information and tracing her movements through the decades – information is all type-written, so initially accessible. Clicking on each Census image gave the details in hand-written form – still hard to read, but once I knew who I was looking for, fascinating to see households listed! The large ‘B’ by Elizabeth’s name, classifying her as ‘Blind from birth’ was typically Medical Model and it made me wonder whethether such records are still kept and what description I would find next to my name? Unfortunately there is a 100 year rule on what the public are allowed to access on Ancestory websites so I can only assume that disability is mentioned. 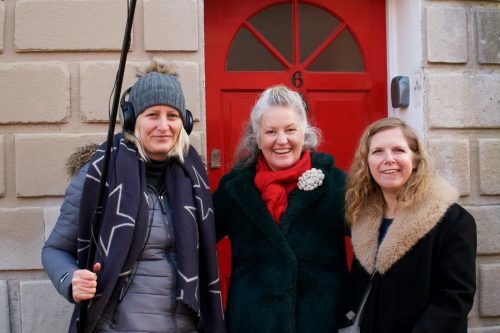 I discovered from the 1861 Census that at two year old, Elizabeth and her two older sisters Sarah Jane and Martha, lived with their mother, Susan Groves, a tailoress, in their own household in Hope Street, Weymouth. This suggests that Susan was doing well. Sadly, by the time Elizabeth was twelve, she and her mother were inmates at the Union Workhouse and Martha, now 15, was living away from home; possibly known as Marth and a servant for the Loder family. There was no mention of Sarah Jane. By 1881, at twenty-two, Elizabeth and Susan’s luck had changed; they were reunited with Martha (a domestic servant); all three living with Susan’s elder sister, (also named Elizabeth), a charwoman. A strong female family unit, there has been no mention of a Mr Groves. Who was he? My team were all of the opinion that Elizabeth was the daughter of John Groves who owned the brewery in Weymouth, I was more cynical – despite her being listed as a scholar, and the Brewery being spitting distance from Hope Street, we could find no evidence that the families were related. Finding out that Elizabeth had had some sort of Education was a revelation; how could this have been possible and when did it take place? Was the word ‘scholar’ used to signify she was of school age, but didn’t actually attend, or could she have been enrolled at a local school? I wanted to believe the latter! 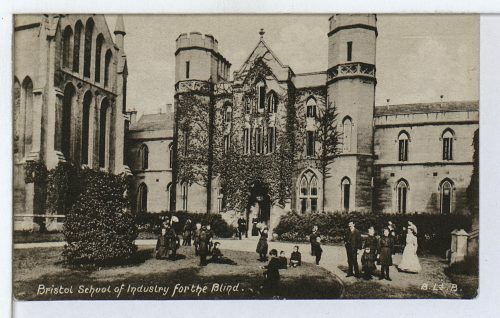 We discovered from the Herrison Records that she “had spent many years in a Blind Asylum at Bristol” which we discovered was also known Bristol School of Industry for the Blind. This must have been where she learned Braille, but how long did she stay there – In each Census she was listed as residing in Weymouth, so she couldn’t have been long out of the County. 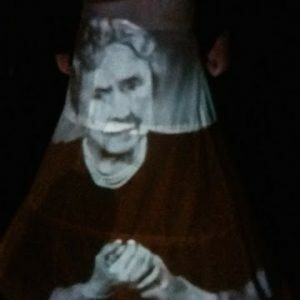 With so many unanswered questions, a heavy heart and workshops fast approaching, I took time away from Elizabeth to try to find another woman’s story. We stumbled across Sophia Rideout, from Sturminster Newton, who, as luck would have it, also went to Bristol School of Industry, but ten years before Elizabeth. Would Sophia’s story be any different? 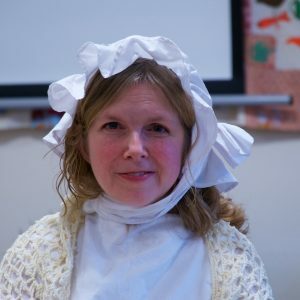 Sensing Helen: Life was difficult for many women in Victorian times – but how did society view disability?